WUSA9 is promoting #heartlove month in February. Knowing your heart age can help you determine if you need more heart love. 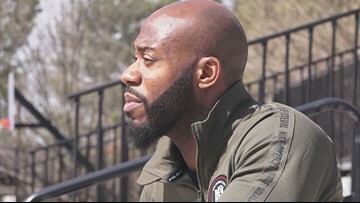 A young teen's doctor delivers a diagnosis his parents that they never expected to hear. When you think of heart disease or a heart abnormality, you seldom think of infants. A dirty little secret is many runners have a love/ hate relationship with running. Self-proclaimed 'runners' don't always love running while they are pounding pavement. In the best moments running challenges you, strengthens you and boosts your self-esteem. That's something to love. Meet the running coaches of Team #HeartLove Lisa Reichmann and Julie Sapper! According to a spokesman for Navy Athletics, Jarren, the son of offensive coordinator at the Naval Academy Ivin Jasper, is prepping for a long awaited heart transplant Monday night. 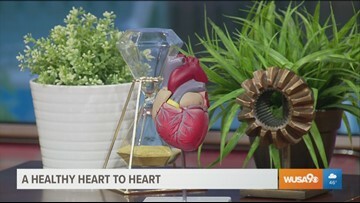 Dr. Yolanda Lewis-Ragland explains the common signs of hypertension and heart disease. These conditions affect African-American women disproportionately. 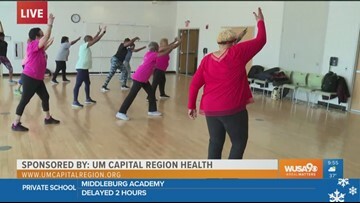 These fit seniors share the secrets to staying young at the Impact: Health Matters event. Get free health screenings and expo today at Kentland Community Center from 12-7pm. Learn how to stop bleeding victims and get free health screenings at the Impact: Health Matters Expo today at Kentland Community Center in Landover starting at 12-7pm. 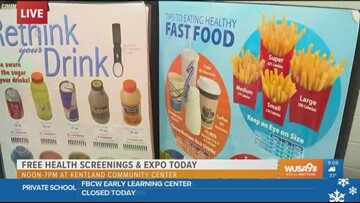 Andi Hauser has a preview of the free health screenings and expo today at Kentland Community Center from 12-7pm.